There are a lot of attractive sightseeing spots in Gifu. The Gifu Castle where Oda Nobunaga declared his intention to conquer the nation with force during the Sengoku period, Ukai (cormorant fishing) with a 1,300 year-long history at the Nagaragawa river, Kawaramachi which prospered as the river port, and the Gifu Great Buddha which is said to be one of the three big Buddhas in Japan. 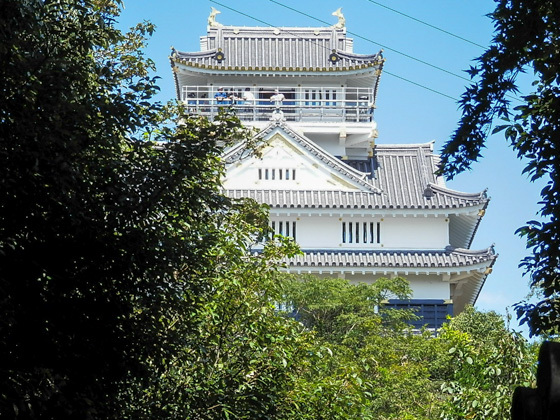 Gifu Castle stands on the summit (329m) of Kinkazan (Mount Kinka). In the old days, Kinkazan was called Inabayama, and a fort was built in 1201. The Saito clan constructed the Inabayama Castle in the mid-15th century. Later in 1567, Oda Nobunaga took over the castle and established the Gifu Castle. During the Edo period (after 1604), Tokugawa Ieyasu who feared Oda Nobunaga's influence destroyed the castle which had a strong tie with Nobunaga. Ever since then, there was no castle in this place. The current castle which we see today was reconstructed in 1956. 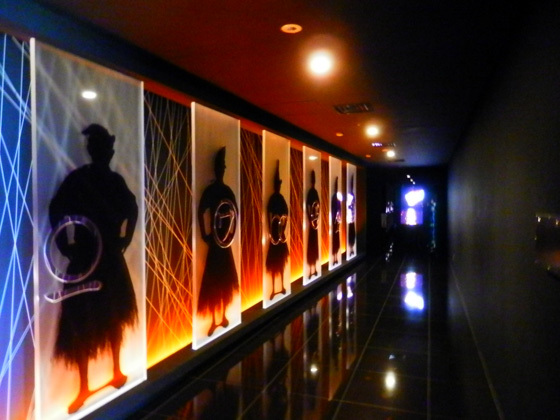 A portrait of Oda Nobunaga, weapons, and historical records related to Gifu Castle are exhibited inside the castle. A park that is located at the bottom of Kinkazan. Playground equipment for children, Japanese garden, and a three-story pagoda compose part of the park. 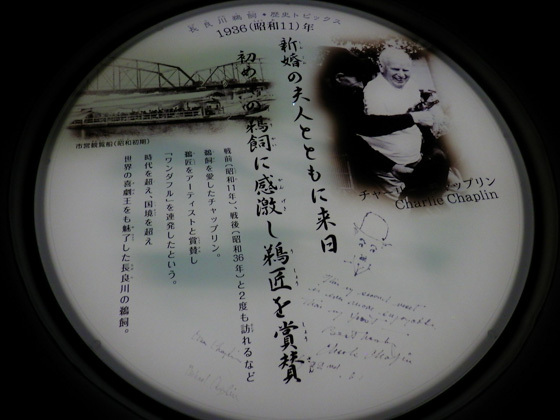 Gifu City Museum of History and Nawa Insect Museum are also located within the premises. The autumn red leaves are very popular too. 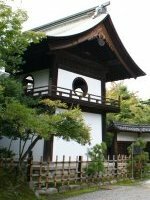 There used to be a residential house of Oda Nobunaga inside Gifu Park. Some of the remains can be observed, and actually excavation works are still ongoing. 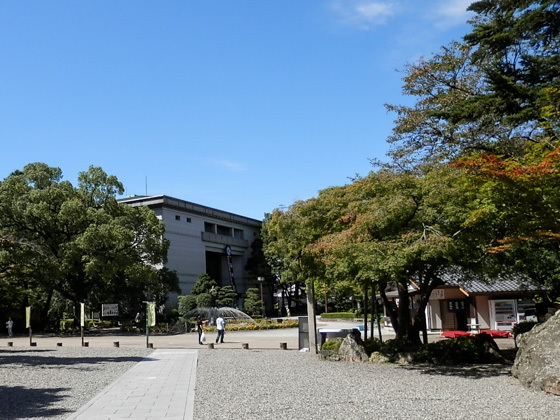 The Gifu City Museum of History and a store (on right) which also serves light meal. 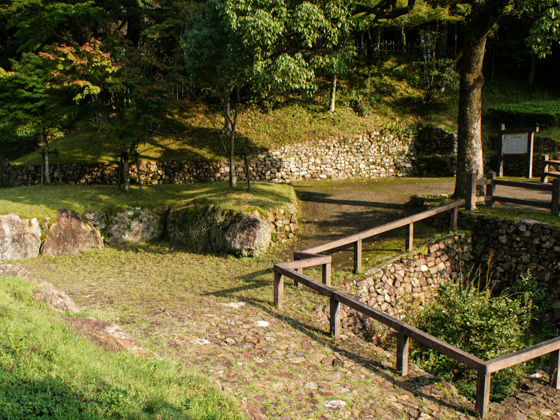 Remains of a rock arrangement made during the time of Nobunaga (16th century). Taking the ropeway is one way to get to the mountain top. 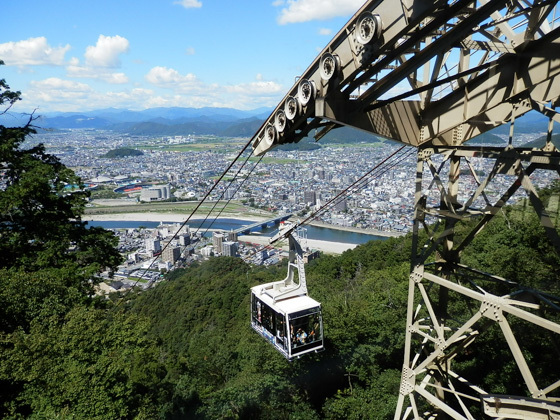 Using the ropeway just for one way, either for climbing or coming down, is also a recommended option. There are several trekking courses are prepared at Kinkazan. 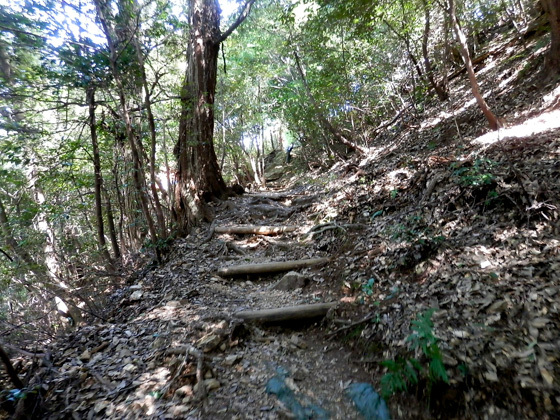 There are all together ten different routes to climb the mountain, including the "Shichi-magari Course" which is an easy one even when travelling with children, and the "Hyaku-magari course" designed for those who prefer to experience a bit of steep slopes and feel that they are actually climbing a mountain. 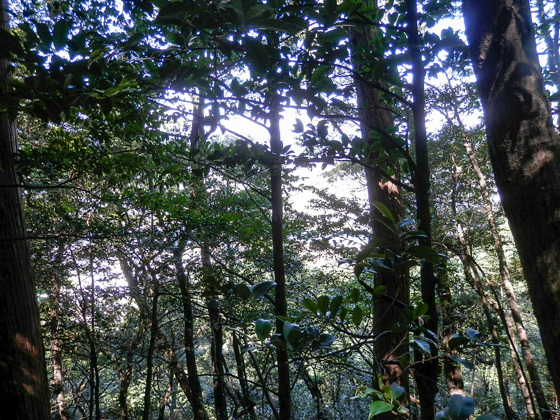 With the "Shichi-magari Course", you will reach the summit in not more than an hour with some break in between. 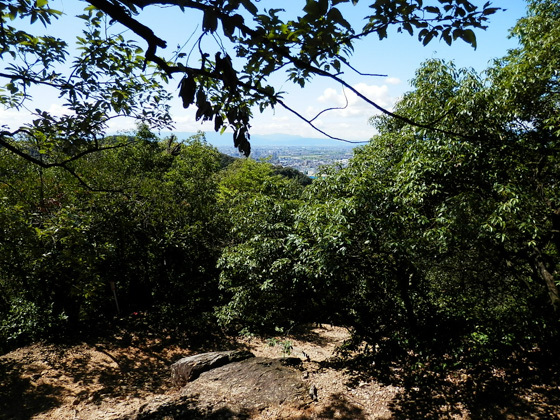 As you go higher, you will enjoy the spectacular view from between the trees. A special treat for trekkers. 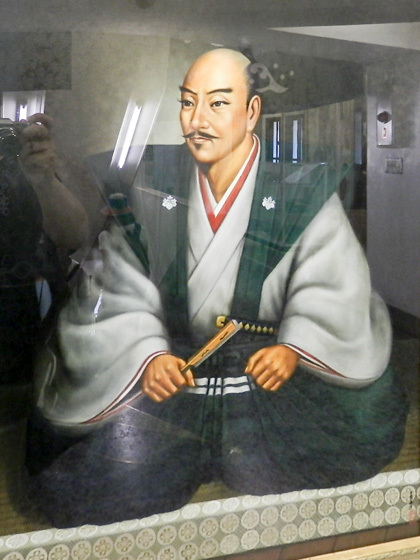 It was Oda Nobunaga, the extraordinary military commander, who made the Gifu Castle famous. 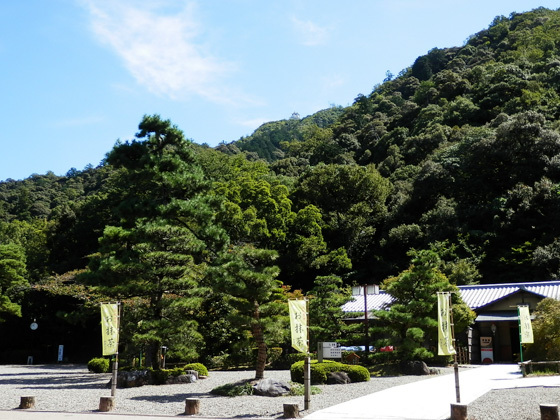 He took over the castle in 1567 (Eiroku 10), conquered this area, renamed the place to "Gifu" and made the place as his home base to rule the country. 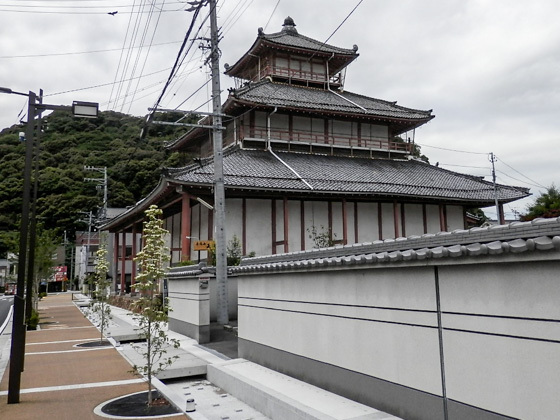 Nobunaga also issued the Rakuichi Rakuza (free markets and open guilds) to the castle town. This lead the area to become active and prosperous. 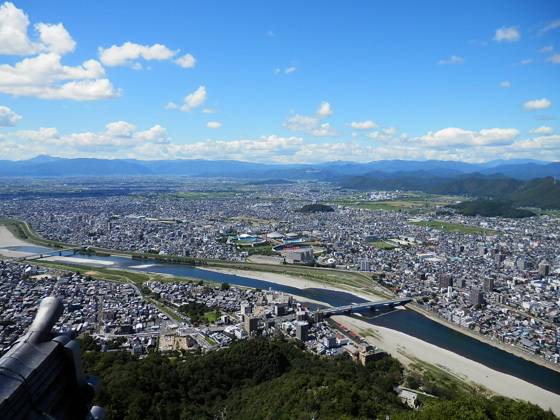 The magnificent view from Gifu Castle does not stop to fascinate people. 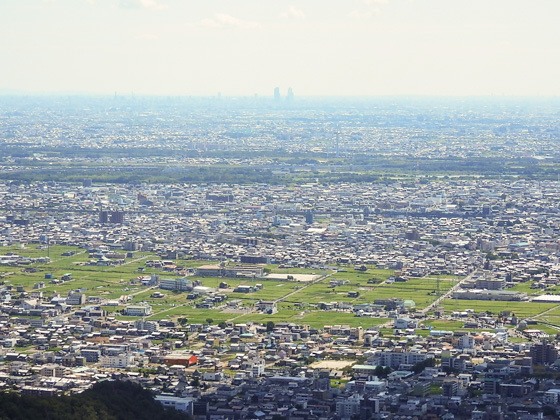 You will see the Nagaragawa river and Kisogawa river that calmly flow through the vast plain of Nobi, which will make you feel that our lives are brought by these rich water resources. The city of Nagoya can be observed where the skyscrapers stand afar. Nagaragawa river which runs below. 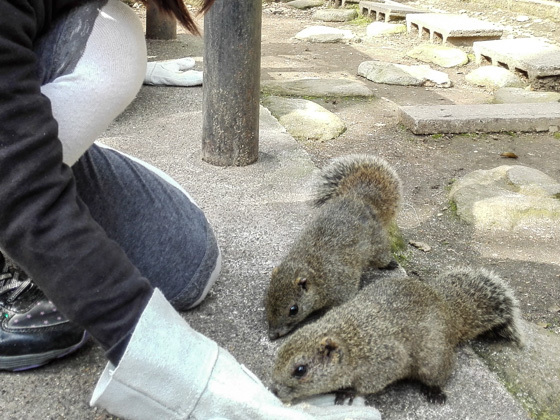 There is a squirrel village near the summit of ropeway. 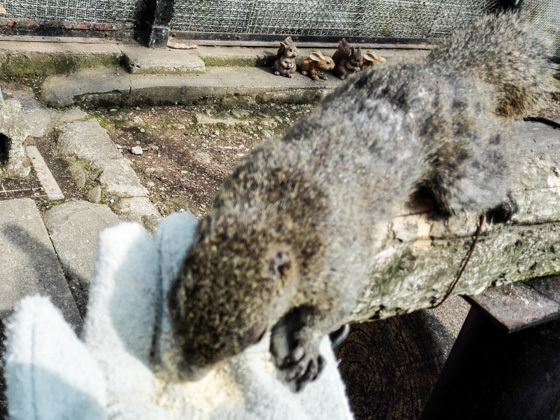 Spend a joyful moment with the squirrels inside a big cage where human beings can enter. Kids will surely have fun with the tiny creatures who jump on their hands and shoulders. Receive a portion of food to feed by paying the admission fee. Make sure to wear gloves when feeding the squirrels. 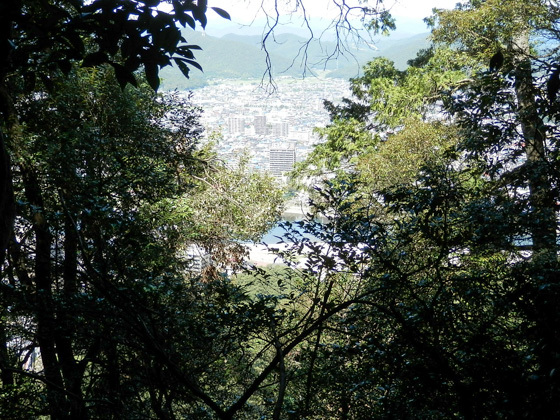 It is a good choice to visit Kawara-machi after climbing down from Kinkazan. 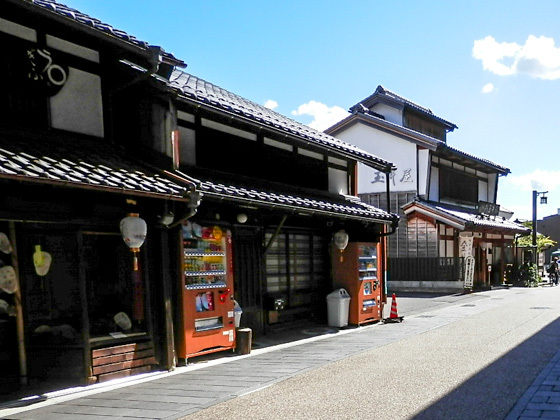 The town is located along the Nagaragawa river and is in a short distance from Gifu Park where the Gifu Castle is. There are big Ryokan hotels in the town. Day-use hot spring baths are also available. 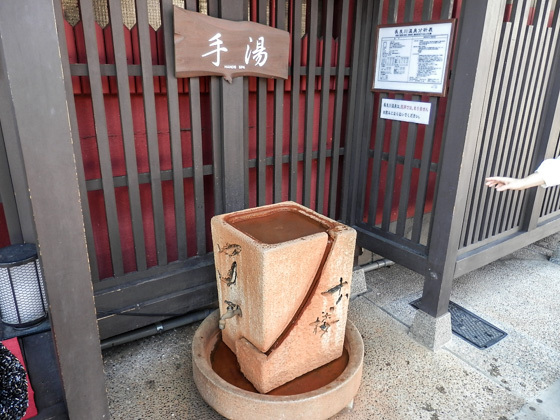 Hot spring water keeps on flowing out in front of the Ryokan building. 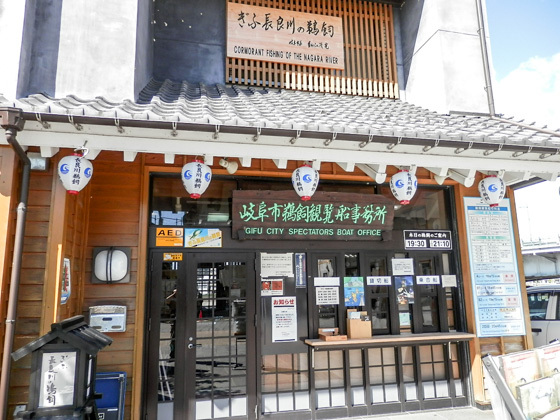 Dip your hands in to feel the gentle warm water of the Nagaragawa hot spring. 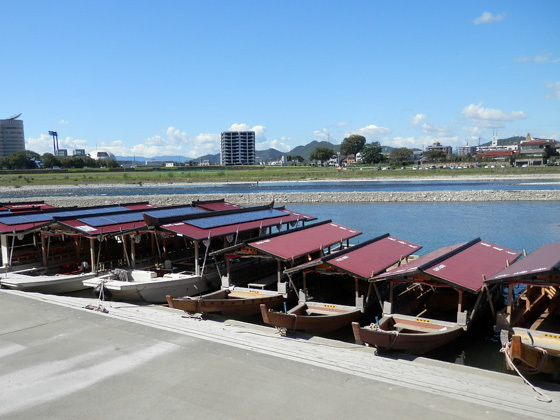 awahara-cho is very close to the Ukai boat boarding point. A perfect place to walk around or spend overnight before going to see the cormorant fishing. 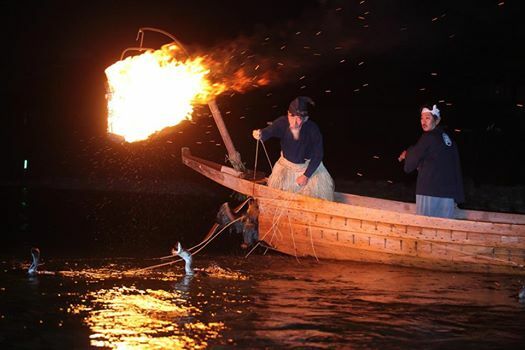 Ukai (cormorant fishing) has a 1,300 year-long history in Gifu as a summer tradition. 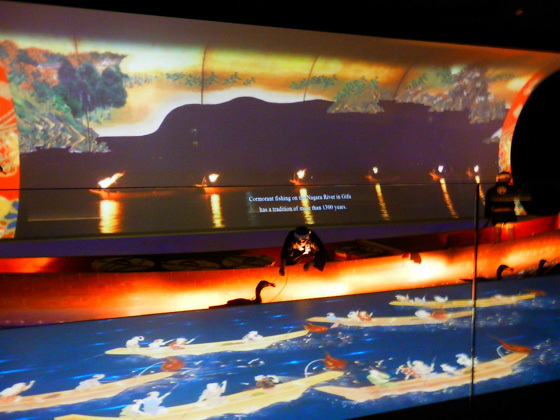 The Usho (master trainers of cormorants) dressed in ancient costume together with the cormorants glow in the darkness under the light of bonfire, creating a fantastic view. This practice which is designated as the country's important intangible folk cultural asset is certainly worth seeing. During "Sougarami", climax of the program, six boats sail side by side in a row to catch fish together, which is truly a highlight of the night. The profession of master trainer of cormorants is hereditary and is a public servant post belonging to the Imperial Household Agency. The Ukai is practiced every day from May to October. Various tourist options are offered, from the luxury ones with meals served, up to a simple sightseeing course at a reasonable price. Select the best course according to your purpose and budget. 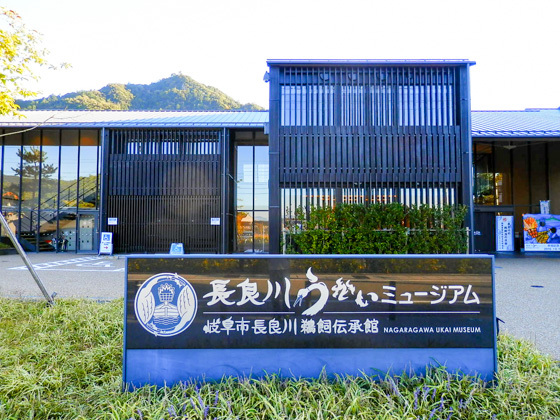 The museum was opened in 2012 to preserve, convey, and share the practice of Ukai at Nagaragawa river. 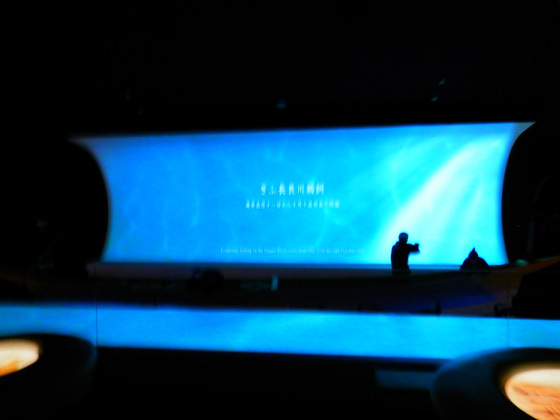 The huge guidance theater (with English subtitles) is the only picture-scroll type attraction in the world. You will feel as if you were inside the picture-scroll story. A real cormorant boat is displayed to provide with you an opportunity to learn about the master trainer's costume and the bionomics of cormorants. 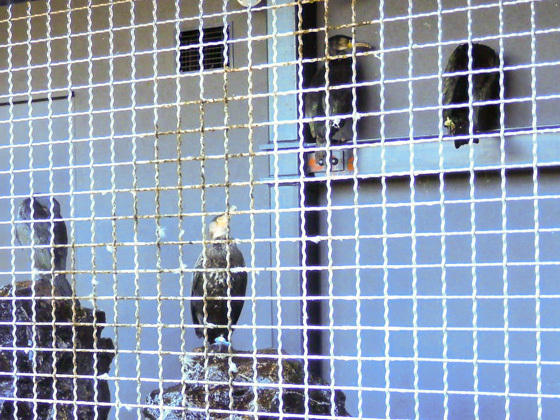 Japanese cormorants which are used for fishing are also raised in the museum. Have a close look at them. Adult 500 yen, child 250 yen. 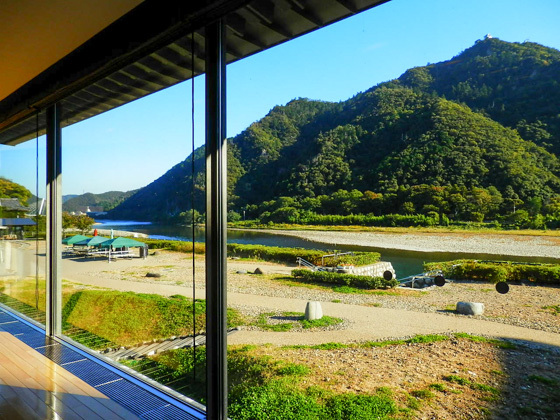 From the viewing lounge in front of the exhibition hall, enjoy the splendid view of Nagaragawa river and Kinkazan, the two beautiful spots that Gifu boasts of. 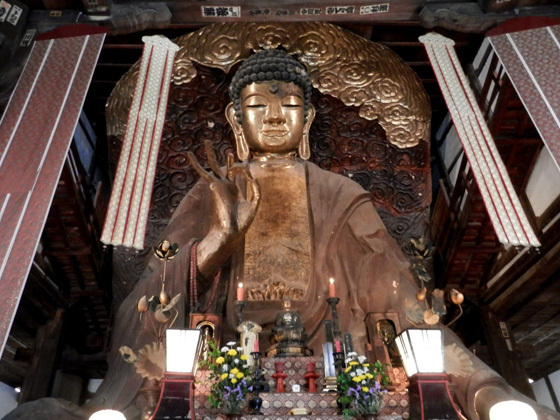 The great Buddha that sits calmly in Shoho-ji Temple near Gifu Castle is considered as one of the three great Buddhas, along with the other two in Nara and Kamakura. 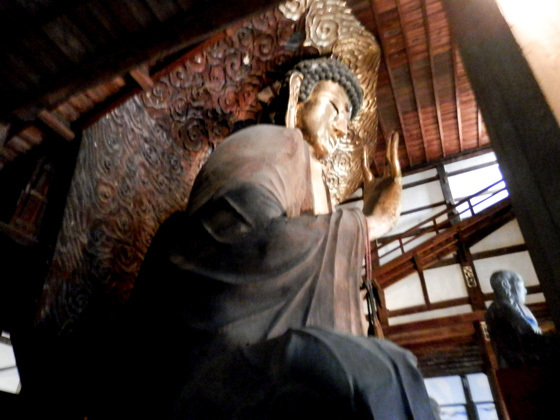 With a height that reaches 13.7m, it is the largest dry lacquer made Buddha. It was completed in 1832 after 38 years of hard work. The mold was made by wood and bamboo clay, then the Buddhist scriptures were glued on it, and lacquer and gold foil were coated on the top. The Yakushi-nyorai (Medicine Buddha) is offered inside the Buddha's body. 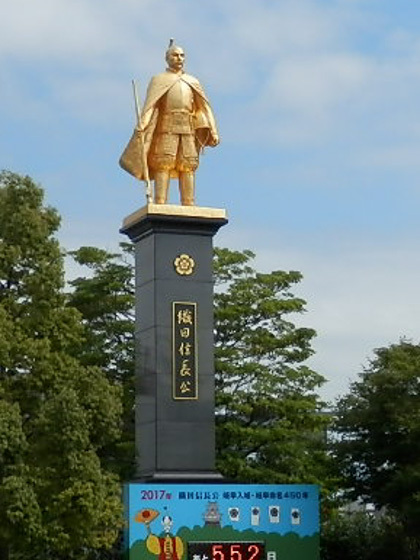 The gold plated statue of Oda Nobunaga which is 11m tall stands in front of JR Gifu station. It was built in 2009 using donation from the citizens. Since it stands out even from afar, the statue is often used as a meeting point. 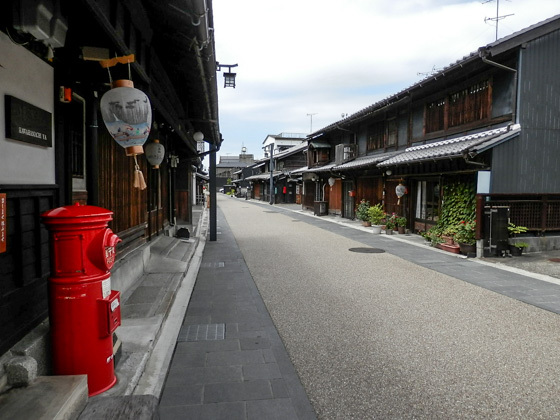 Oda Nobunaga (1534 to 1582) made Gifu as his home base in 1567. 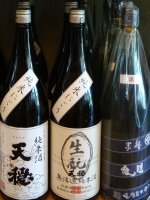 He declared his intention to conquer the nation with force and stayed in this place for a decade until transferring to Azuchi (the present Shiga Prefecture). Nobunaga is the most popular and charismatic character in the Japanese history.